The main shipment is currently on a boat somewhere between Malaysia and the UK and is due to arrive around 10th June. 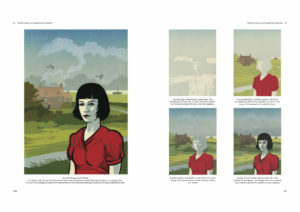 I will send out your order as soon as the books arrive, along with an exclusive Linocutboy bookplate. 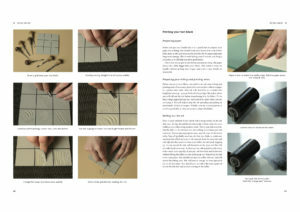 Linocut for Artists and Designers is a complete practical guide to linocut. The book covers everything you need to know about this versatile and accessible medium, from choosing the right tools and materials, to planning your design, carving and printing. 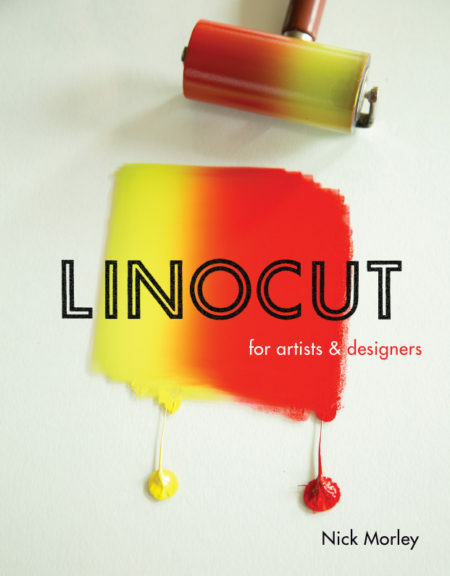 It explores how linocut can be used in different ways, from fine art prints and illustration, to product design and fashion. 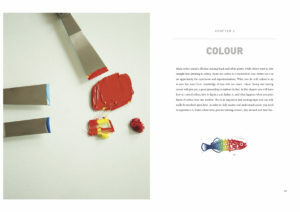 Illustrated throughout with clear, step-by-step photographs and examples of work by the author and other artists and designers from around the world. Eight international artists and designers are featured in-depth with interviews and images: Bill Fick, AGUGN, Sonia Romero, Deborah Klein, Jesse Breytenbach, Zach Medler, James Brown and Steve Edwards. Softback book, 176 pages with over 300 images. Published by Crowood Press. 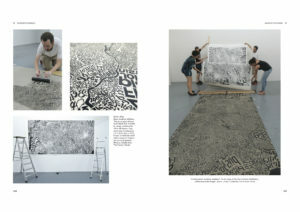 Below are previews of some of the pages from the book. Click each image to link to a larger version. Hi – been trying to buy your book but Waterstones cancelled my order, and Amazon say it’s unavailable. I’m leaving Uk quite soon to. Live overseas … Was really hoping to be able to2 get a copy in time to go with my shipping … Are you able to help… Has the publication been delayed maybe? My copy arrived last week – EXCELLENT! I’ve been doing linoprint work for a few years, with some training (a few evening classes) – but have found little literature dedicated to the methods and techniques of linoprinting in the way this book is. The book is written in a really accessible way but has a real depth of information i would expect to be of interest to people with more experience than me. 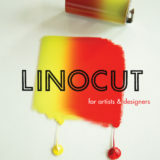 I would definitely recommend it to anyone interested in linoprinting. Thanks Matt, Glad you like it! My other half got me this for fathers day! She used to chat to you about it at the post office and has been on a preorder list for a while. It’s an amazing book with so much attention to detail and depth. its got techniques and tips you just won’t find anywhere else! Hi. I ordered your book recently, and just want to say I’m delighted with it. It’s a thing of beauty! Everything simply explained with clear illustrations. Also, loved the little print inside. I have just sent way for your book after reading marvellous reviews! I have just starting making linocuts but, as I am self-taught, am making so many mistakes that I am sure could be easily avoided! By sheer coincidence, having spent an afternoon fiddling with registration, I googled for help and up came your post and found it really helpful (I didn’t realise that you were Nick Morley!) I look forward to being further enlightened! Hi Nick, I am in Australia and would like to order your book. Where can I order it? Hi Nick, can you tell me how much your book is in CAD? Am even going to try opening my own etsy store soon.